SEMIAHMOO HOME W BONUS LOT Spectacular Semiahmoo Shore model Home with bonus Lot making it the largest in development. Also has abutting HOA owned Greenbelt lot. Stunning unobstructed views of Drayton Harbor, Mt Baker & Twin Sisters. 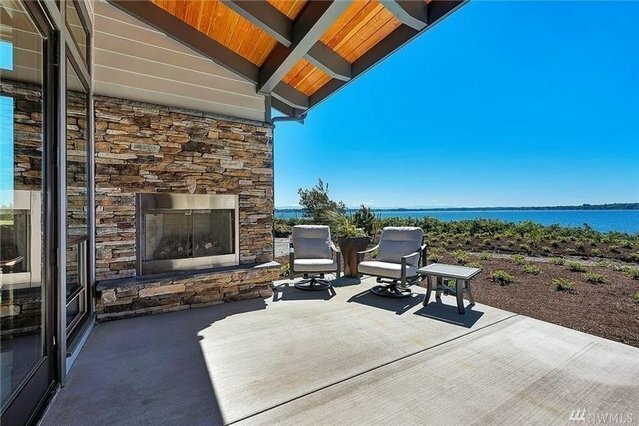 Step off your covered patio w outdoor fireplace onto miles of shoreline trails. Upgrades throughout & constructed by award winning R H Construction. A must see and open 7 days a week 12 5pm.